From an early beginning Matthew was involved in the thoroughbred industry. While obtaining my Bachelor of Commerce, he worked for Magic Millions and for the past seven years has been lucky enough to work in Victoria at two great farms – Darley and Woodside. 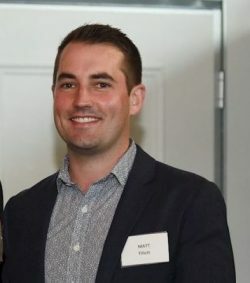 After completing a one year trainee program at Darley Australia, including three months’ management training at Kildangan in Ireland, Matthew worked to sell stallion nominations. His career has been highlighted over recent years at Woodside, by successfully promoting two commercial stallions, Written Tycoon and Zoustar. When he was 23 he began to buy and breed mares in Victoria, and has bred two foals to race so far and both are winners. He has a real appreciation and passion for the challenges of breeding.